Scientific degree: Doctor of Medical Sciences. Position: head of the Department of physiology and pathophysiology with medical biology course. Biography. A. Ataman graduated from Kyiv Medical Institute (now the National Medical University) named O.O.Bohomolets, worked as an assistant and then Professor of Pathological Physiology in the Kiev Medical Institute. Since 1993 he is working at SSU. He held the position of Deputy Dean of the Medical Faculty of the scientific-methodical work. Awards. 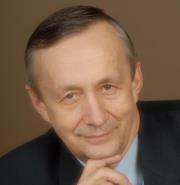 Winner of the Bogomolets Prize of the National Academy of Sciences of Ukraine. Publications. There are more than 100 scientific and educational works.